Tweet tweet! 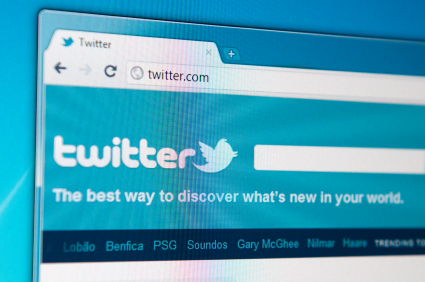 Are Twitter followers a trade secret? All secrets might not be trade secrets, but apparently trade secrets might not actually have to be secret? In PhoneDog’s original complaint, the company sued Kravtiz for misappropriation of trade secrets, intentional and negligent interference with prospective economic advantage, and conversion. With regard to its trade secrets claim, PhoneDog alleged Kravtiz misappropriated confidential information that included the password and followers of the Twitter account. In its complaint, PhoneDog claimed it also suffered a total of $340,000 in compensatory damages ($42,500 for the eight months Kravtiz used the account prior to filing this suit), based on the calculation that each Twitter follower is worth $2.50. Kravtiz moved to dismiss the complaint under Rule 12(b)(1) and 12(b)6). In his Rule 12(b)(1) motion, Kravtiz asserted the amount in controversy could not have been more than $8,000 based on industry standards. In addition, Kravtiz asserted the account’s password and followers were not trade secrets. 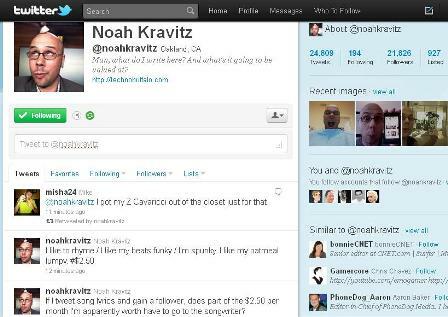 On November 8, 2011, the District Court denied Kravtiz’ 12(b)(1) motion, finding the amount alleged too intertwined with the merits of PhoneDog’s claims, namely whether the company has any property interest in the Twitter account. The court also denied Kravitz’ 12(b)(6) motion for PhoneDog’s trade secrets and conversion claims while granting his 12(b)(6) motion for PhoneDog’s intentional and negligent interference with prospective economic advantage claims. A few months later, PhoneDog filed an amended complaint for its intentional and negligent interference with prospective economic advantage claims. Kravtiz’ motion to dismiss those claims was denied on January 30, 2012. The District Court’s determination that PhoneDog sufficiently pled its misappropriation of trade secrets claim suggests that subscribers to a social networking account such as a Twitter account may in fact constitute trade secrets. Kravtiz, in his motion to dismiss, argued that the Twitter followers “are not secret because they are and have been publically available for all to see at all times,” and the Twitter password fails to derive any actual or potential independent economic value. Despite these seemingly obvious reasons, the District Court concluded that whether or not the followers and password constitute trade secrets requires a “fully-developed evidentiary record,” and that such challenges would be more appropriately raised on summary judgment. At this point it still seems obvious that Twitter followers cannot be trade secrets, and Twitter accounts as whole are not trade secrets. How can something so public be a secret? A common trade secrets claim that may be analogized to that of Twitter followers is one over customer or client lists. Customer lists have long been recognized as “information” that qualifies for trade secret protection. The proprietary information in customer lists may vary, but most claims tend to include the names of customers, specific customer preferences, and pricing strategies. Moreover, for such a customer list to be a protectable trade secret, the secrecy of the information needs to give the trade secret owner some sort of competitive advantage over its competitors. When a company spends years developing its customer list, reaching out to selected clients, and establishing strategic relationships with those clients, the customer list will be protected as a trade secret. Of course, the company would also maintain the list’s secrecy. Another important element of a trade secret is that it needs to derive independent economic value, actual or potential. Generally, if a company can show that its customer list is the but-for cause of its success or provides similar evidence that the list gives the company a competitive advantage over its competitors, this factor would weigh in favor of finding the list is a valid trade secret. Sure social media plays an important role in a company’s business, and in particular its brand awareness, but its economic value to the company is questionable. In essence, PhoneDog would have to prove that without those Twitter followers, it loses the competitive advantage of its business. Although PhoneDog did argue that the followers were pivotal to its “economic relations with its advertisers,” the possible increase in traffic to its website, the company’s actual business, merely reflects a potential revenue stream rather than a competitive advantage. Ultimately, Twitter followers can follow whomever they want and however many businesses they want—one follower may follow PhoneDog while also following the company’s competitor—effectively eliminating any advantage. The essence of a trade secret is “the secrecy of the information” that gives the owner a competitive advantage over its competitors. Just looking at Twitter account, nothing is secret. The content posted and the followers are clearly not a secret. Arguably, the benefit of a Twitter account is the visibility of its followers, because the number of followers and perhaps who some of the followers are contribute to the reputation of the company. As such, it actually makes less sense for a business to claim that its Twitter followers are trade secrets.